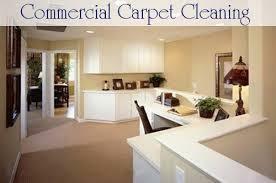 If you are looking for Commercial Carpet Cleaning Services in Hoover AL, you have come to the right place. With winter coming to an end soon, you may be starting to think about Spring Cleaning. Does your office or business look dingy or smell stagnant? Winters are not especially good on carpets in offices or businesses, and they may take a beating. More mud, dirt and grime are brought in during the cold winter months as people are rushing inside, to get out of the cold. The dirt on their feet gets trapped in the carpets and unless you are diligent about vacuuming your floors may be showing the wear. Also, with buildings being shut up tight to keep in the heat, unknown smells can emerge that you may have no idea where they came from. So, while your office may have stayed warm during the winter, your carpets may have a lingering dinginess and smell. If so, it is time for a professional carpet cleaning. Heaven’s Best Carpet & Upholstery Cleaning of Birmingham offers carpet, floor, and upholstery cleaning services to businesses both large and small. Our firm is IICRC certified which means our technicians are trained to use proven and tested cleaning methods that will thoroughly clean your carpets or floors. We have the newest technology and top of the line professional cleaning solutions and can handle just about any type of dirt, soil or grime. Heaven’s Best also offers some of the best Commercial Carpet Cleaning rates in Hoover and Birmingham. Call us today at (205) 618-9150 for a FREE ANALYSIS and FREE ESTIMATE. We will come out and conduct a FREE Carpet and Floor Analysis, as well as measure the areas that need cleaned. Based on the analysis, we will determine the best method to clean your carpet and floors. Then, we will give you a FREE Estimate with several options, to fit in any budget. We offer one-time cleanings, as well as specialized maintenance plans with even better rates. We can also clean your chairs, couches or any other upholstery in your office. Why not get a jump on spring and have your carpets cleaned now? Heaven’s Best Commercial Carpet Cleaning Services of Hoover AL, will freshen up your office and make it look and smell great. Get your office ready for the spring by calling Heaven’s Best today at (205) 618-9150.